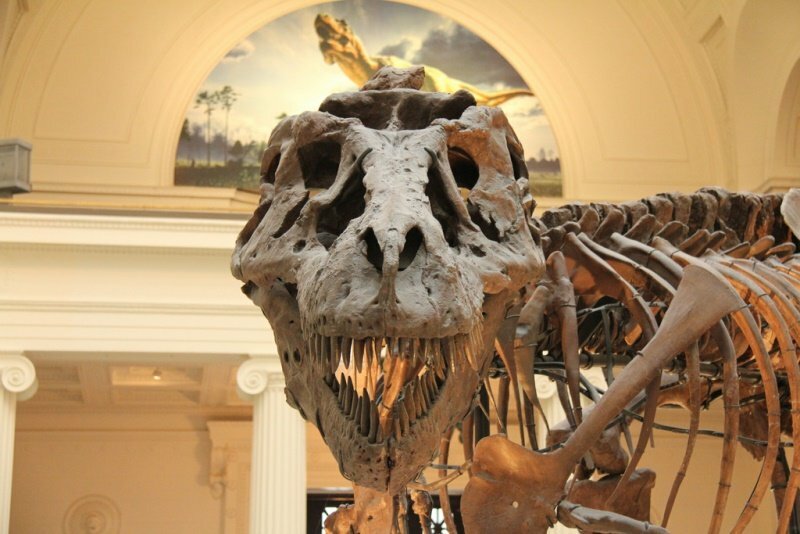 Chicagoans will shell out even more to see Sue the T.rex come January. That’s because the Field Museum, which houses Sue – the most complete Tyrannosaurus Rex yet discovered – will raise its admission rates yet again, the third time within the past five years. Starting in January, adult Chicago residents will pay $16, with non-residents forking over $22. But this isn’t exactly coming out of nowhere. In 2013, the Chicago Tribune wrote an expose on the Field’s history, detailing a decade-long history of debt and mismanagement, including a decision by the museum’s board to issue $90 million in bonds – a gigantic sum which the Field has since struggled to pay back. Two years ago, the museum announced major cuts to budget and staff, which included eliminating $5 million from its operating budget and attempting to raise $100 million for its endowment. Additional plans included outsourcing retail store operations and phasing out employee pension plans. At the time, the Field had no plans to increase admission. The museum sits on Chicago Park District land, which means the district has a say in major changes like an admission hike. At last month’s Park District board meeting, commissioners took issue with the Field’s initial proposed fare increase which would have seen a $4 hike for adult Chicagoans (from $13 to $17) and only a $2 dollar increase for non-residents (from $18 to $20). Though some 1.2 million visitors pass through the museum’s doors annually, only half actually pay the price of admission, the museum’s executive vice president Jim Croft said at that meeting. Commissioners took further issue with the price increase for locals upon learning that Chicago residents only amount to 16 percent of those paying attendees. Ultimately, the museum settled on a compromise: the original proposed Chicago resident ticket price dropped by a dollar, with the price for non-residents jumping to $22. But, as Field Museum Chief Marketing Officer Ray DeThorne points out, admission costs haven’t gone up for Chicagoans since 2010. “[The Park District] just needed to have their memory refreshed that, in fact, we had told them in 2013 we’d hold off on raising prices as long as we could. So they were understanding,” he said. The Park District’s board members did not reply to requests for comment. Of the museum’s 540 employees, 150 conduct active science and research. The museum also houses some 27 million artifacts and specimens, of which only some one percent are actually seen by the public. DeThorne said that research, coupled with storage and preservation efforts, only adds to the museum’s operating costs. In the past five years, the Field’s multimillion-dollar subsidy from the Park District has also been reduced, due to a combination of economic changes and city museum politics involving Museums in the Park – the elite collective of 11 Chicago museums which receive Park District funding. In 2012, the Institute of Puerto Rican Arts & Culture was added to the group, meaning that pot of money was spread even further. DeThorne said he doesn’t expect the admission increase to affect attendance – a sentiment that’s been echoed by Croft. But it could also be that the museum’s taking a gamble without enough information. Sandeep Baliga is an economics professor at Northwestern University who last year helped streamline the way the college sells tickets at its football games. Baliga points to a company like Amazon, which can raise or lower its prices hourly in response to supply and demand in an ever-fluctuating online market. While the Field has no plans for another Sue – which ultimately cost a whopping $8.3 million back in 1997 – DeThorne said they’ve invested in other areas. The museum just opened its first permanent exhibit in over 13 years – the Cyrus Tang Hall of China, some 5,000 years’ worth of Chinese history compromised of artifacts collected by the Field. As to why the museum has yet to reproduce the kind of blockbuster attendance for its 2006 King Tut exhibit – which saw over 2 million visitors come through the doors – DeThorne said there’s already a plan to bring in “something big” from outside the Field in March, though he wouldn’t reveal what that entails. “We may be and that may be what’s coming in March,” he said.